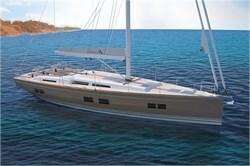 Start your sailing yacht charter in Croatia here and you won't be disappointed for sure. This wonderful city will have you mesmerized and loved up in no time. Dubrovnik is bursting at the seams with beauty, variety and a magnetism that is unique to the city. 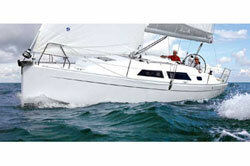 There is a wide range of high qualitiy sailing yachts or power boats. Last not least the prices for boat rental are very competitive. Setting sail from Dubrovnik - How to get there? You can easily reach Dubrovnik airport, 15 km from the centre, from mostly all bigger European cities. Or make your way down the Adriatic Highway by car - all the while dreaming of your ideal Dubrovnik charter experience. This famous seaport is located on the Adriatic coast in Dalmatia, at the southern tip of Croatia. 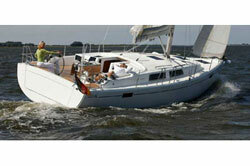 Therefore, it is the perfect starting point for a boat charter around the Croatian islands. Which marinas in Dubrovnik are best suited for bareboat charter yachts? Marina Gruz can host about 100 yachts of up to 55 m LOA and has several cruise ship terminals too. It lies about 4 km North-West of the Old Town. Already here you have practically everything you might need within walking distance: Shopping mall, supermarkets to get supplies for your Croatian yacht charter, banks, restaurants and bars. If need be, you can pay mostly anywhere at your convenience with Euros or Dollars - the change given back will be Croatian Kuna however. A taxi or shuttle bus will take you the short ride into town. It's a lovely drive and you will be passing lush greenery and gorgeous villas on the way. About the same distance to the Old Town is the Yacht Club Orsan to the North-West of the historic centre. It has 250 moorings for vessels of a maximum length of up to 20 m. This port is also very well connected and also offers a wide range of services for yacht charterers. Finally, the Dubrovnik ACI marina about 6 km from the city centre has 380 berths and fits yachts of up to 60 m. Here you get fantastic infrastructure for sailors. There is a shipyard with dry dock, lots of shops, a swimming pool, tennis courts and much more. Contrary to belief it is not possible to moor up in the historic harbour of Dubrovnik. But with the above options you have plenty of possibilities to choose from. What has Dubrovnik got to offer for après sailing? Before going on a sailing holiday around the Croatian islands you should really pay the Old Town a visit. A tour on top of the huge, up to 6 m thick ramparts can easily mean walking on the biggest, coolest set of city walls you will ever set foot on. ´The pearl of the Adriatic´, as it is also called, is vibrant and alive with street performers, music festivals and concerts. You can shop till you drop or take the cable car far, far up the hill. Here you can savour the breathtaking view over some of the most impressive fortifications in Europe. Admire the sea of red roofs and the distant horizon over the Med full of promises for your personal dream Adriatic yacht charter. Back down with your feet firmly on the ground take in some more of the sights of the UNESCO world heritage site - there are so many to choose from. Strolling down the Stradun, Dubrovnik´s majestic main street, is just one of them. It is a pedestrian zone as is the rest of the historic centre. Maybe sample some Croatian produce as you go along or buy some funky souvenirs and have a chat with one of the local vendors. As it gets dark the ´Croatian Athens´ is transformed dramatically into a stunningly romantic backdrop for you to lose track of time. You can enjoy pristine quality seafood fresh from the catch, have a glass of wine and watch the international crowd walk past. Most visitors coming to this town for the first time will have a look of sheer wonder and joy on their faces. Dubrovnik does just that: It makes people happy to be alive and its amazingly intact walls are a sight to behold forever. 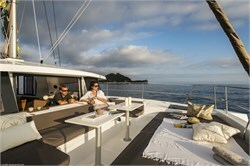 Which ones are the best day charter escapes from Dubrovnik? 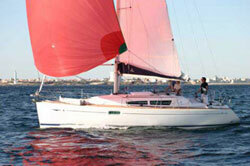 Very recommendable is a day´s sailing trip around the beautiful Elaphite islands. 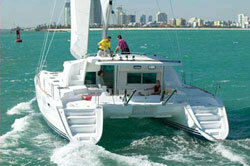 A skipper will pick you up from Gruz harbour and take you across the clear water. There are plenty of beaches there to discover, or alternatively many beautiful churches and sights dating as far back as the 15th century. Enjoy the lovely view of the orange groves and try the local cuisine before heading back to the city. 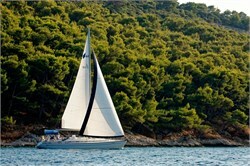 Another option is a day trip to the Mljet National Park. This densely wooded island is said to have been the setting for Ulysses being caught in the goddess Calypso´s cave. Korcula, also nearby, has an absolutely wonderful town worth coming to. Here you can also visit Marco Polo´s alleged birth house. Last not least you could do an excursion to Montenegro that includes a stop in the beautiful port town of Kotor. The choice is all yours! 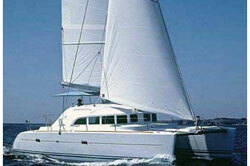 How to charter a yacht in Dubrovnik? 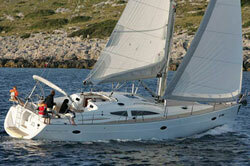 There are numerous bareboat yacht charter providers in Dubrovnik. Some of them are: Ultra Jedrenje, Croatia Yachting and Euromarine. 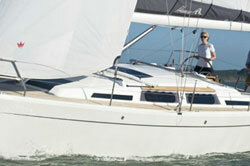 You have your choice of sailing yacht or motor boat hire. If you want to charter one of their boats just make your request via the search form and we will find you the best offer. 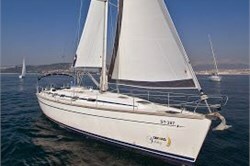 Now finally it is time - are you ready for your Adriatic charter holiday? Planning a trip, preparing and looking forward to it is a pure pleasure in itself. The brilliant infrastructure, rich natural produce and friendly, helpful attitude of the locals will all contribute to ensure your preparations run smoothly. So go ahead now and explore the immense variety and beauty of the Croatian islands. You might just find it is the best holiday you ever had!